2017 Château Clerc Milon Subskription | Rotwein | Jetzt kaufen! 5. GRAND CRU CLASSÉ PAUILLAC A.C.
"Barrel Sample. Finely structured, there is an excellent balance between fruit and tannins on this ripe and juicy wine. It is elegant, harmonious and poised. It will develop easily and over time will be an impressive wine." "A blend of 60% Cabernet Sauvignon, 23% Merlot, 14% Cabernet Franc, 2% Petit Verdot and 1% Carménère, the 2017 Clerc Milon is deep garnet-purple in color and scented of crushed red and black currants, wild blueberries and black pepper with touches of cigar box, violets, underbrush and menthol. Medium-bodied and with a very firm structure of wonderfully ripe, pixelated tannins and exhilarating freshness, it finishes long with notes of pebbles and floral perfume." "Crunchy plum and black currant notes are fresh and focused, while chalk, iron and savory details line the finish. Shows nice purity and minerally drive." "Tight and compacted with chewy tannins and showing hot-stone, blackberry and blueberry character. Full body and a driven finish." "The 2017 Clerc Milon was picked from 13 to 29 September and matured in 50% new oak (which was represented in the blend tasted.) It has a more closed, backward bouquet compared to the sample of d'Armailhac. It actually reminds me of that other "Milon", Duhart-Milon in style. The palate is medium-bodied with grainy tannin, a fine bead of acidity, quite austere and conservative with a precise, pencil-lead, Valrhona chocolate and smoke infused finish that just pulls up a little short at the moment. Tasted three times with consistent notes." Bitte beachten Sie die Sonderbedingungen der Subskription in unseren AGB. Auch das Château Clerc Milon zählt zu einer der Errungenschaften des Baron Philippe de Rothschild. In unmittelbarer Nachbarschaft zu Lafite und Mouton befinden sich die 40 Hektar Weinberg. 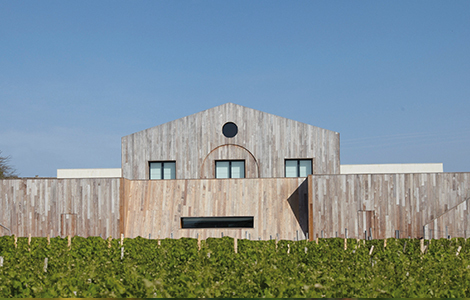 Das erstklassige Terroir der berühmten Médoc-Region spiegelt sich auch in den Weinen des Château Clerc Milon wieder.